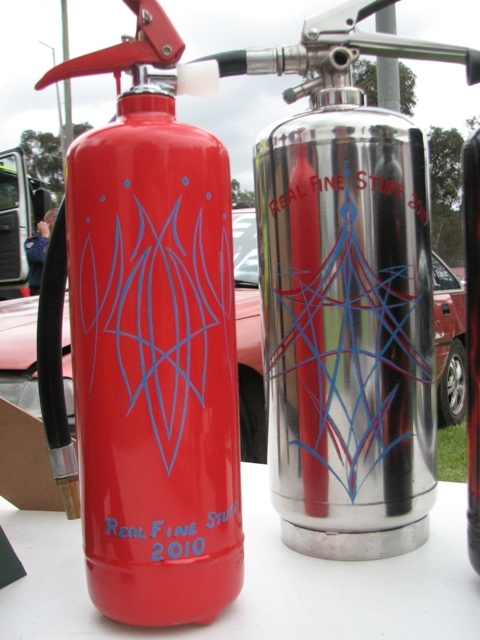 Real Fine Stuff is a car show put on as a fundraiser for the Londonderry Rural Fire Service, in Sydney’s outer west. 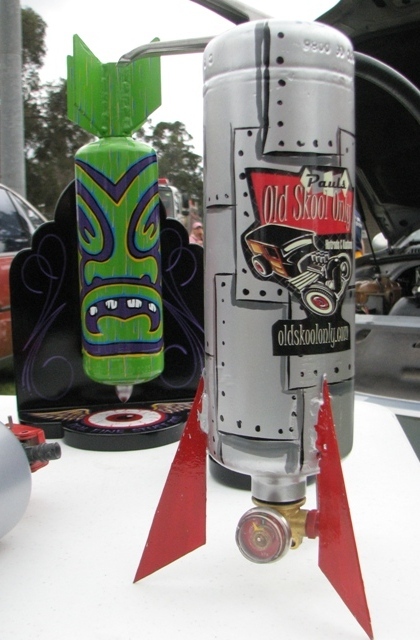 One of the neat things about the show each year is the trophies, which are all hand customised by a bunch of Aussie artists. 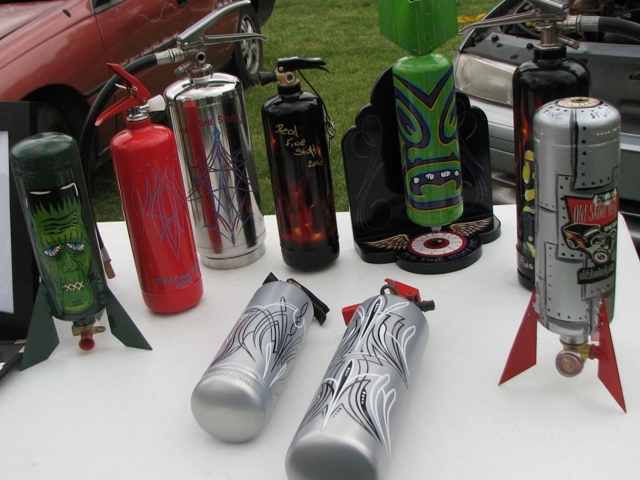 Last year they painted up some firefighter helmets, and this year the artists were let loose on some fire extinguishers! As you can see, they came out pretty awesome. One of the things I love with things like this is seeing the variety of ideas and designs people come up with! 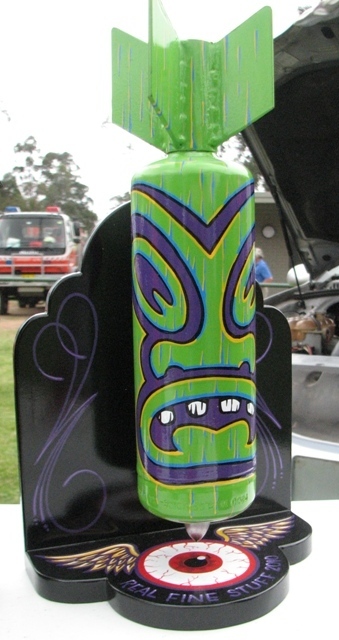 Congrats to all the artists who made some fine pieces of art, and for supporting our RFS volunteers. Ya just gotta love the variety! I can’t wait till next year! !